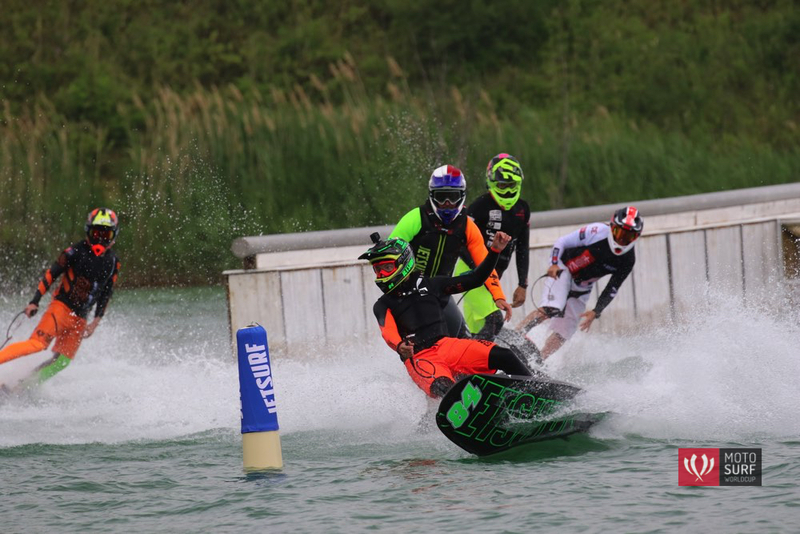 Follow Jet Surfing Nation Motosurf 2017 World Cup Updates! The venue of the Motosurf World Cup 2017 action second round is in St. Petersburg. Enter the city center of the splendid Russian city. 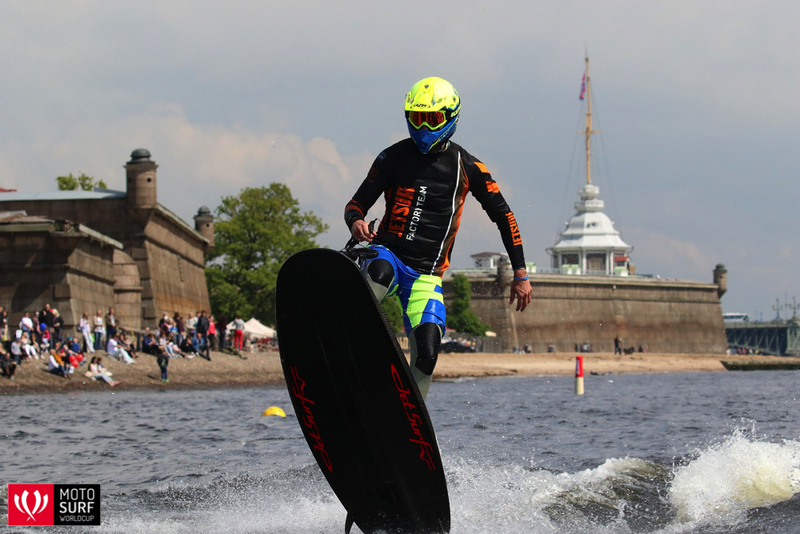 The most surprising turnout this weekend was Jetsurf USA’s Petr Vencovsky. Petr is one of the top 5 contenders in France. He turned up his performance to a whole new level in Russia, leaving a strong mark by posting the fastest laptime. FOX as he is commonly called, was consistent in his performance even in the heats and he ruled his heat group. He battled with Michal Lostak was a sight to behold, in the end, Petrv managed to clinch the victory. At the finals, many riders had real victory claim targets. However, among this lot, Lukas Zahorsky was the one who came up the strongest and snatched his first 2017 victory after displaying many astonishing maneuvers in a tight competition with Sebastian Kubinec who eventually succumbed to defeat during this head to head battle. Petr FOX Vencosky came 3rd for Jetsurf USA and stood on the Motosurf podium for the very first time in his career. As for the girls, they did a wonderful job working with such a difficult course. The qualifiers were dominated by the defending champion – Aneta Sacherova, who made it ahead of Alita Rivas. As for Martina Lukscheider, this was her best weekend so far, she came in 3rd place in the qualifying. Martina Bravencova entered the weekend with some bad fortune; she missed one of the buoeys and ended up being disqualified. In the end, she was the happiest girls in the paddock, even though she came last in qualifying, she still managed to pull the stunt of winning both her heats. Her victory made her the hero of the weekend. MSR Engines Racing Team’s collected some important points for the championship and came in 2nd. The happiness of Mexian rider- Aneta Sechrova was very obvious, representing Jetsurf USA; it has almost been a year since she made it to the podium. She allowed the Jetsurf USA Team to enjoy victory this weekend. More Surfing action will continue in the United Kingdom on 7-9 July. So, did you get a chance to watch the Motosurf World Cup? If yes, let me know what you think about the competition, who was your favorite rider etc.